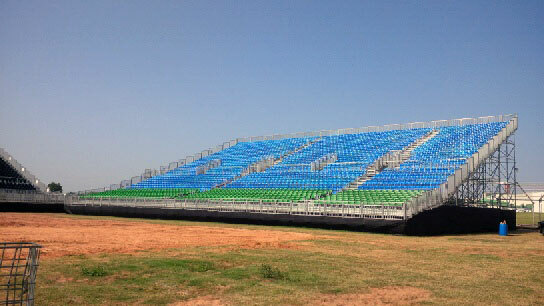 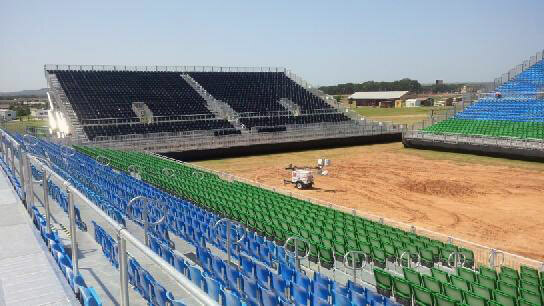 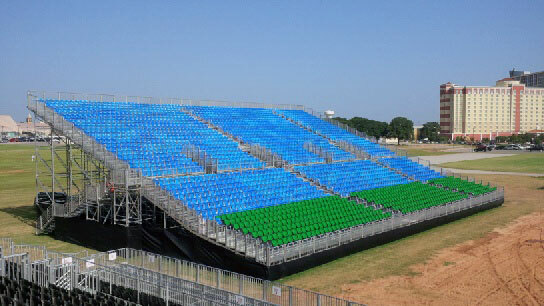 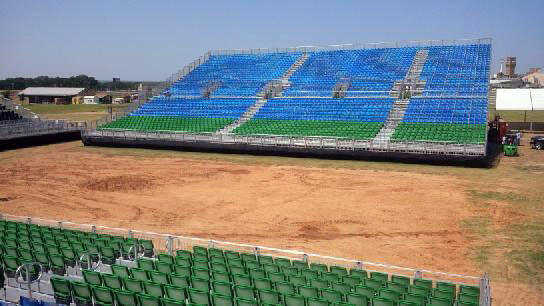 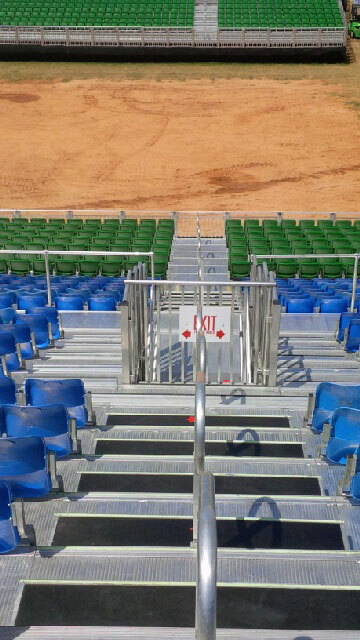 This PBR rodeo event held at Winstar Casino utilized over 7,000 of our safety code compliant, Ultimate automatic tip up seats with a combination of our newest VIP box seats with armrests (shown in green) and our standard flip up seats (shown in black & blue). 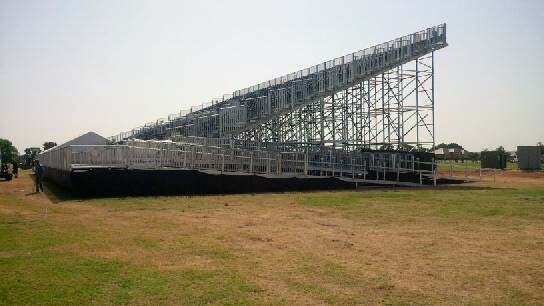 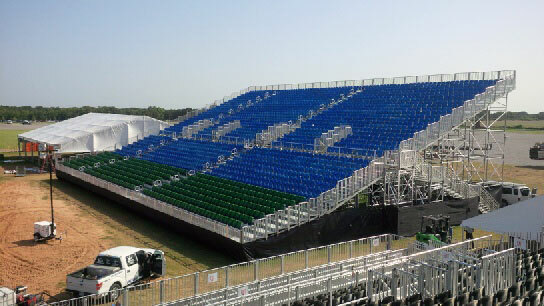 This elevated, tiered seating system was ADA compliant with a fully railed wheelchair ramp and front row wheelchair and companion seating. 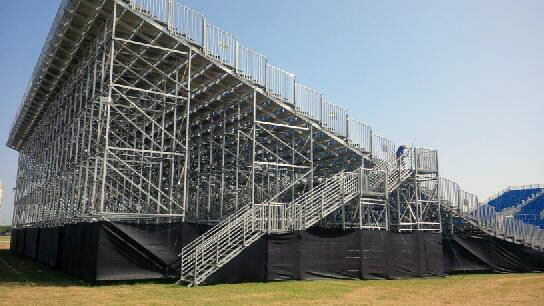 Aisles feature mid-aisle handrails and contrasting mid-step nosing as another safety feature. 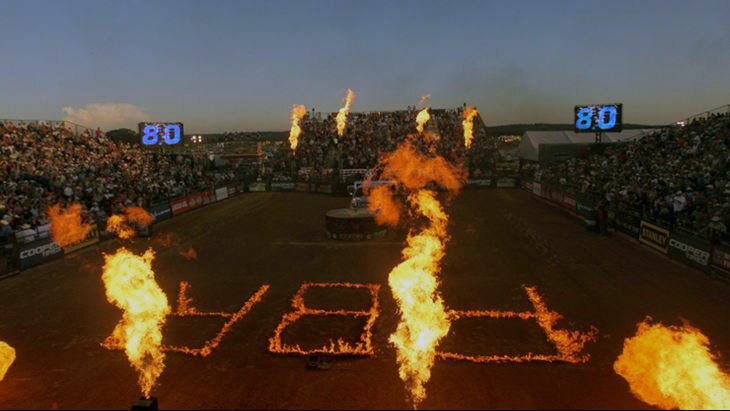 This was a weekend event that drew many spectators to the casino.